I wanted to create a project that represented all the music that I enjoy and grew up on. From classic R&B to Punk Rock. I wanted to blur the lines by not coloring in the lines when it came to genre. I wanted to tell my story through my own lens, introducing a perspective of growing up as a black kid from Staten Island. What inspired the title 'Euphoricon? Euphoricon was a word that I made up meaning a “Beautiful Lie”. What seems like paradise always has a price. Take America for example, ‘the land of the free’ isn't as free for everyone. We strive for perfection that isn't obtainable. Coping with placebos whether it be our phones, drugs, material or superficial things. 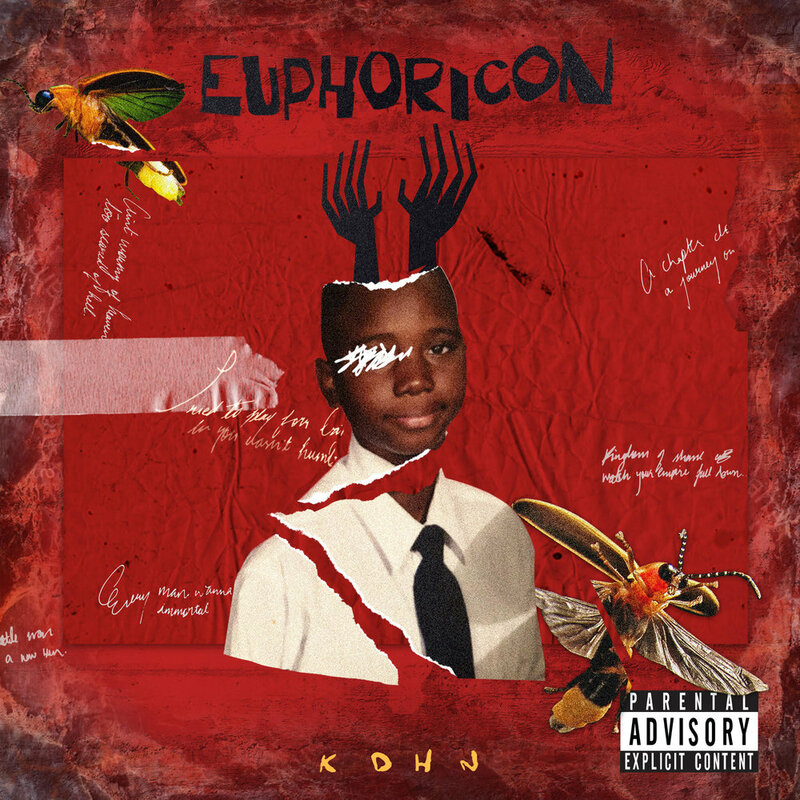 Euphoricon became a city of my depression that I had to escape in order to save myself. Kid Cudi would have to be on my track ‘Hollows’ for sure! I've been helped in many ways throughout the journey of this project. My friends who have helped produce this project, their experience of life that they describe to me. My own self reflection and the people that I have encountered also. My team LWA also, MANTRABLU, SENSEI, MARC R, Marc Adrien, RAVE all have produced Euphoricon. I was the only writer on the project besides rappers YF and Monk. My favorite track would have to be Hollows. I was vulnerable with this song. I reflected my anger for the first time. I channeled my trauma and conviction. To me thats where I healed from my depression, the music. To reach someone. Simple as that. To save someone, change someone, inspire. I want to introduce ideas. Add to history and let people know that perfection lies in our individuality. We are ALL necessary and worthy of life. Since I was five Ive been making music and creating, but at 15 is when I started taking my poems to melodies. I was always shy with my art but I couldn't run from it. All my life music was there. When I was alone music was at the bedside. In the dark was always a melody. I just had to answer back. I wasn't brave enough to think it was obtainable. Being a black man is already an obstacle. The stigma of what genre we belong in is slowly but surely diminishing. Im not a traditional artist. I don't look slim and have a six pack. Im loud and sometimes clumsy. I have some stories and a pulse. Ive always been considered different, how I spoke, my interests and ideas. I was the kid who just did his own thing really. If I like it it didn't matter who had a say. I was always persistent. That I'm just another artist who just wants to call myself an artist. I want to be taken serious and build a legacy of innovation and inspiration. I want to reflect the times with my artistry. Theres a power in being yourself. Walk in it day by day. Taken by George Rivera, Make up by Moshoodat.